Join the discussion on our forums! 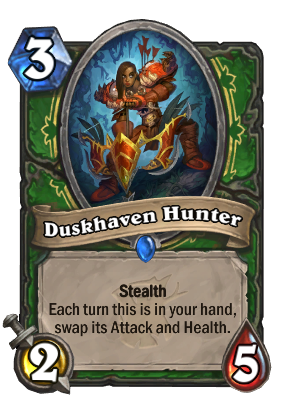 Come discuss Duskhaven Hunter over in our dedicated Duskhaven Hunter discussion topic. After a short paws, she's back to herself again. The card is better than it seems if you run buffs. But sadly, without the Beast tag you can't use the good Hunter buffs on this card, so that ruins it. I think a 3 cost 2/5 Stealth is actually quite good, because you could follow on turn 4 with either Dire Frenzy or Houndmaster without having to worry that the minion would be killed beforehand. A 4/7 Taunt on turn 4 would be nice, or a 5/8 attacker with Dire Frenzy. Oh well, too bad. 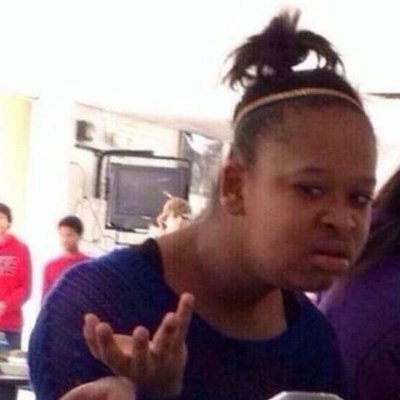 Anyone else triggered by the fact that she is holding the bow the wrong way. 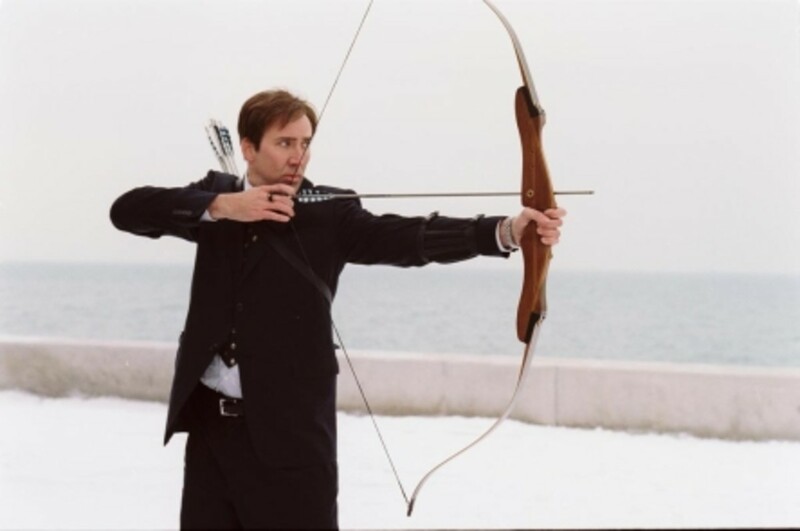 The string is on the wrong side if she wanted to fire the arrow at anything. Anyways 5/2 for 3 mana isn't bad especially if you have the rush legendary down. Also, I like that she has legion gear on and the legion MM bow which fits the stealth flavor. Overall I'd say flavor win but will be iffy / fringe in constructed. The way the art is drawn now she is holding the string behind her arm, it's not a matter of handedness. It's just wrong. Imagine this but the string is behind his shoulder. That's the side the string is on currently. 3 mana 5/2 with stealth makes this only slightly better than Jungle Panther. 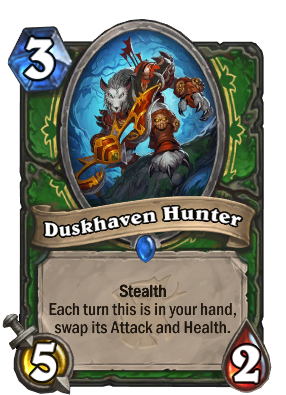 3 mana 2/5 with stealth is okay but lacks power and probably won't trade very well against other 3 mana cards. Dissapointing worgen card. this kinda suffers from the same problem that the peasant has where you can't really control the turn it becomes a 5/2 or 2/5 it depends on when you draw the card turn 3 it'll be a 2/5 and you don't want that if you're hunter you want the 5/2 most of the time, this is just a flat anti tempo card like the peasant is but great for a aggro deck. 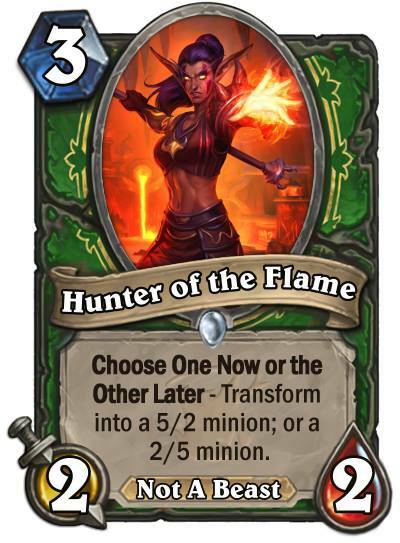 you wouldn't add this card into the midrange hunter deck if that becomes a thing, this is an odd mechanic that they have going on and it's really hard to tell how good it's gonna be but i know for a fact that these cards you DON'T want on your opening hand unless you plan on playing this on 2 with the coin or on 4 if you already have a 2 and 3 lined up. The stealth part makes her being from bad to good/decent. If worgens counted as beasts, she would have been an auto-include in every face hunter deck. I still think she's strong, but I want to see the rest of the set to justify her usage. Versatile card but without beast tag it might not be that good for hunter, however, guys we must note what Peter told during this "stream", they are taking hunter a little further from the bests this time. No beast legendary in this set for hunter makes it really noticable. The swap takes away a little, but providing you don't specifically need a 2/5 when it's a 5/2 or vice versa, both options are pretty strong. Druid of the Flame has seen a lot of play in the past, and this is strictly better. Both 2/5 and 5/2 are pretty strong when you can dictate trades for them. Sure, it's not a beast, but with Houndmaster Shaw that has quite a lot less of an impact. It's not like anyone ever ran two copies of Tundra Rhino in a deck. I think the swapping is both a debuff and buff at the same time. If you want the 5/2 stealth which I think is what you want usually you cant play it the turn you draw it. However, the swap does give you the flexibility to have a 2/5 stealth if you want for whatever scenario.